What is a good CTR on Facebook Ads? How do we evaluate a good Click-through Rates on Facebook Ads? 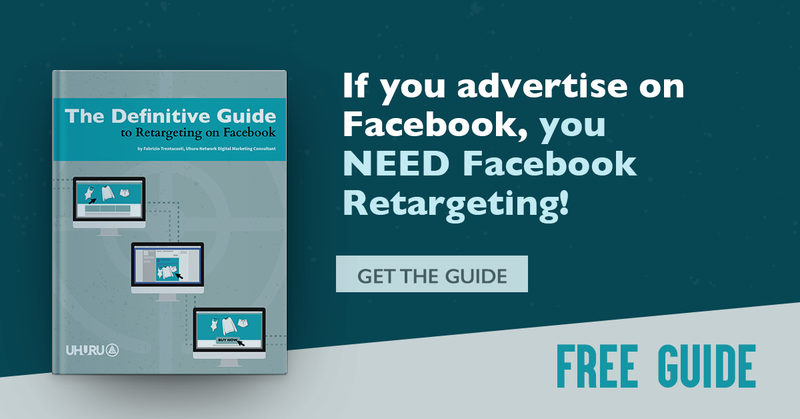 Looking for a great way to evaluate your Facebook ads? More than likely you’ve already discovered your Click-through Rate (CTR). That’s a step in the right direction, but what does it all mean? How do can you use it to accurately evaluate your ads? The CTR you’re reading may be an inflated figure that doesn’t reflect your ad’s true performance. How do you find out? Read on and we’ll give you the ins and outs of understanding and make the most of your CTR. By the time you’re done you’ll know more about how to judge your CTR than the majority of advertisers on Facebook. What is a click-through rate, exactly? In its broader definition, it’s the number of people who actually clicked on your link and were taken through to an offer, online storefront, data capture form, landing page, website, etc., divided by the total number of visitors that viewed the link (in an email, landing page, website, ad, etc.). Simply put, it’s the figure that represents the percentage of people who were engaged enough by what you put in front of them to click on your link. Marketers and advertisers use this ratio to determine the efficacy of an ad, email, landing page, or an entire website. CTR can be used to measure the success of ad campaigns, Facebook ad images, layouts of landing pages and websites, and much more. Now for how CTR applies to your Facebook advertising. CTR on Facebook is pretty straightforward. It’s the ratio of how many times an ad has been clicked on the times it’s been seen. Until recently, Facebook was giving you a CTR that included things like off-site clicks, likes, and event responses. This inflated figure is commonly mistaken for link clicks and could skew your interpretation of your ad’s performance. If you’re promoting a photo with a photo ad, your CTR is simply measuring the number of clicks on the ad area. This includes clicks on the photo (to open/enlarge it), on the reactions, on the comments, on the page name, or even on the “view more” text (in case you wrote a bit too much). This feature makes sense for photo ads but can be confusing when measuring CTR for links. This is why Facebook now has two separate CTRs to show you, with the second one exclusively representing link clicks. This allows more accurate insight into your ad’s engagement and performance. When checking your CTR, it pays to know what to look for. It’s important to pay attention to the type of post or your results may be misleading. For example, photos and video posts can have a huge CTR. People don’t jump at the chance to read the article you just shared quite like they would to watch an engaging video. That brings up another good point about things to look for when checking CTR on Facebook. If you’re sharing a post that links to another, make sure you know if you’re reading the CTR for your post or the link itself. The CTR can be quite different and the latter is fairly irrelevant when evaluating your advertising. While your CTR gives you an idea of how your ad is engaging users, it’s not a holistic evaluation of your ad’s performance. You’re marketing on Facebook with one thing in mind: conversions. If you’ve just checked the CTR for your recent post and it’s below average, don’t scrap it and head back to the drawing board just yet. This post may be bringing in fewer people but those people might be well targeted. If your post is closing more than others, its CTR isn’t as important. We’d take a high converting post with low CTR over a low converting post, no matter what its CTR is telling you. There are also two alternative ways of checking the CTR for your ads. You can monitor clicks on Facebook with URL tags, which are small bits of code (such as uhurunetwork.com/?key1=fbads) that Facebook lets you add to any ad link. With these unique URLs we can use services like Google Analytics to filter visits and view how many people came in response to a specific ad. You can also use a URL shortening service like bit.ly or goo.gl and use the shortened URL version in your ads. You can then log into the URL shortener dashboard and check how many clicks you get. Now that you how to find determine your CTR and whether it is any good, how about an example of CTR for each type of post? Average CTR on links range from 1% all the way up to 5% on average. Once again, it is important to understand the difference between the CTR (All) column which refers to every click on the ad area, and the CTR (Link, right column) which refers to the link clicks. There are two ways of measuring CTR for photos on Facebook, with the only difference between them being whether or not the photo contains a link in its description/text. If the photo doesn’t have a link, you’ll see a CTR (All) column on your ad’s report, referring to any click that was made on the ad area. This may include a click on the photo to enlarge it, a click on the like/comment/share buttons, a click on the reactions, and even a click on the page name. CTR (All) on photos is usually very high, and it can go up to 10% depending on the photo. On the other hand, CTR (Link) is usually lower on link post types. Like photos, videos are very engaging and get lots of clicks (on the play button for example or on an automatically played video to activate sound). CTR here can be very high (from 5% up to 15% on average) and include the CTR (Link) column as well, which includes the call-to-action clicks. Calls to action can be included to bring users to an external website at the end of the video (the “learn more” link in this example). Status updates can be also very engaging, with a CTR of up to 15% on average. As with photos, you’ll find the CTR (Link) data if you include a link on your text/status update, otherwise, you’ll only find the CTR (All) column. A good CTR depends on many things: your product/service, your niche/market, the quality of your copy and graphics, the post type, and target audience (Cold vs Facebook retargeting). A good way to understand a good CTR is by comparing your ads by split testing them. When you test one ad against another by making small changes you’ll begin to be able to determine what your audience likes/doesn’t like. Try changing graphics, the call to action, headlines, copy, and so on to see which return the best CTR. Don’t stop when you’ve found your groove. Keep testing and continue to improve your ad performance. Continuously test new ad formats, messaging, and images and you’ll find the best CTR for your ads as well as the most efficient way to market your brand on Facebook.